When I was middle-school-aged, I loved going to the library in the small southern-Missouri town we lived in at the time. Reading was—and still is—my passion. One book I remember was about a girl my age learning to cook so she could compete in a cooking contest. 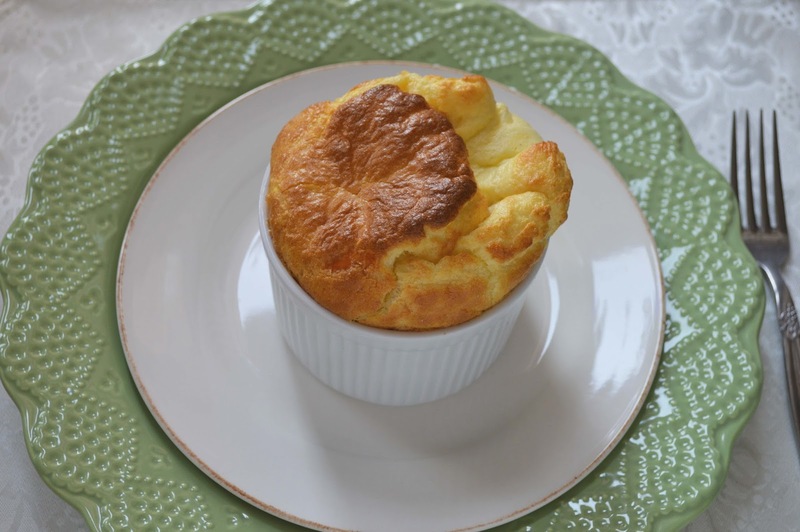 While all the other contestants were making fancy desserts, she chose a classic cheese soufflé. I didn’t even know what that was! My Midwestern family was more into chicken fried steak, meatloaf, and pot roast than French cuisine. The novel taught me about the dish, and later on, Julia Child taught me the rest. 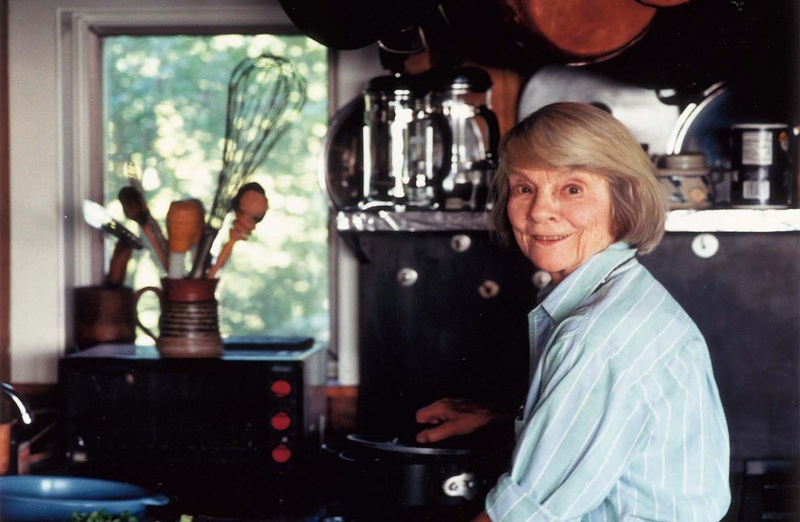 A few months after entering the world of modern widowhood, I came across a cookbook by Judith Jones—the editor who discovered Julia Child, and many others—called The Pleasures of Cooking for One. She wrote this book after her own husband died to encourage people on their own to cook for themselves. Sadly, she passed away just this past August. The book’s cover features the photograph of a beautiful cheese soufflé for one. 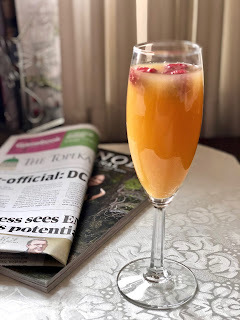 I immediately had to make it, and it’s become one of my favorite recipes. After the first time or two learning the recipe, I can whip one up quickly. And, in spite of soufflé’s temperamental reputation, mine have always risen beautifully. 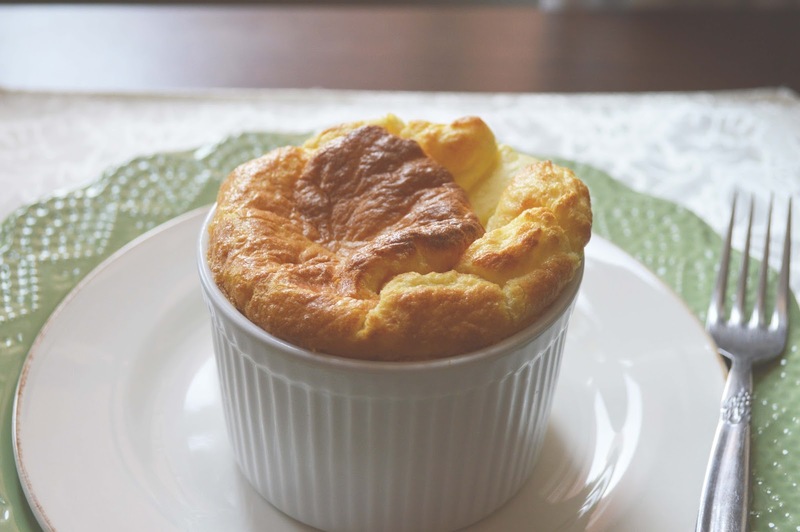 If you’ve never had a soufflé, just think of it as a very fluffy omelet. I usually pick whatever cheese I have in the fridge. You don’t need much. My favorite is aged cheddar and nutty Gruyere. I use grated Parmesan to coat the inside of the ramekin. I’ve enjoyed this soufflé for breakfast, lunch, and supper. (Not all on the same day! Lol) I pair it with a tomato and celery salad and crusty bread. And I agree with Ms. Jones—it’s nice to make a meal for just myself. Preheat the oven to 425 degrees F and move the rack to the center of the oven. Coat the inside of a 4-by 2 ¾-inch ramekin with 1/2 tablespoon of butter. Add the Parmesan cheese and turn the dish to coat all the sides and bottom of the dish. Set aside. Melt the rest of the butter in a small saucepan over low heat. Whisk in the flour and cook for 1 minute. Then pour in the milk and whisk to combine. Continue cooking while stirring constantly until the sauce begins to thicken. Add the salt and paprika, and then remove from the heat. Whisk in the egg yolk and set aside. In a medium bowl, beat the egg whites until they form soft peaks. Spoon a dollop of the egg whites and half the cheese into the saucepan and stir to combine. Fold in the rest of the egg whites and the cheese until just combined. Pour into the prepared ramekin. Place the ramekin on a small baking sheet and put into the oven. Lower the temperature to 375 degrees F and bake until fluffy and lightly browned, about 18 minutes. 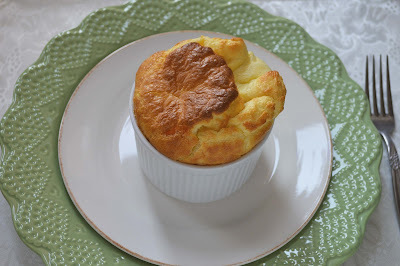 Serve immediately—soufflé waits for no one!